Then I get the mentioned error. I tried these steps on Windows 7 and Ubuntu with the same result. I've checked the modules, they all use project SDK which is 'IDEA jdk'. 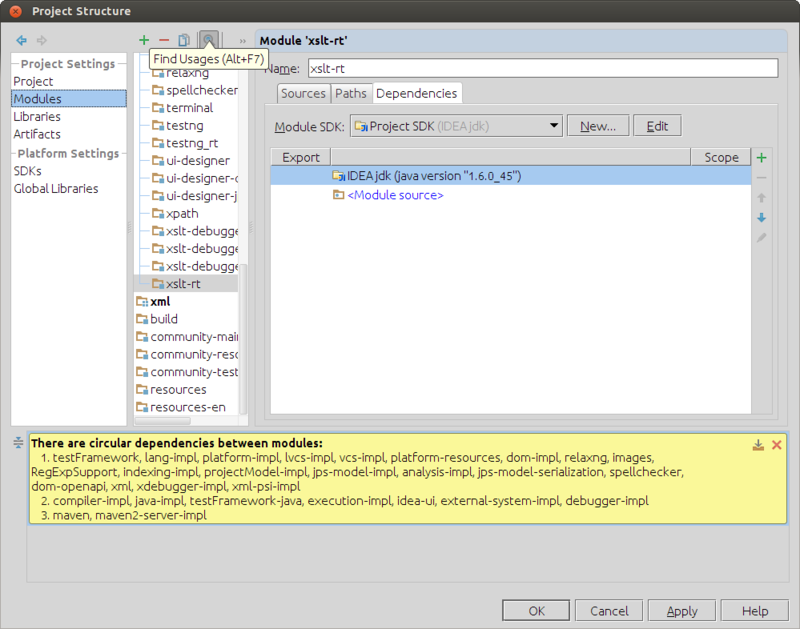 When I change xslt-rt module SDK to 'IDEA jdk', the error is gone, but the similar error appears for other module. Also (I'm not sure whether it's related or not) there are circular dependencies between modules. So the question is: Is it bug in Cardea, or it's a project misconfiguration? Have I missed something? Are you sure 'IDEA jdk' is a regular Java SDK and not a plugin SDK? Yes, that was the cause. Thank you!